PLAYA DEL CARMEN, Q. Roo – The competition in the labor market, especially in the hotel sector, is pretty strong as a worker who aspires to move up in a position usually takes more time to achieve it in comparison with two years ago. Uri Carmona Islas, secretary of organization and propaganda of the Revolutionary Confederation of Workers and Peasants (Confederación Revolucionaria de Obreros y Campesinos, CROC), said: “Last year there were less opportunities of career growth in Playa del Carmen, because a great number of workers arrived in this zone looking for a great job”. Although there is no exact figure so far, Carmona Islas explained: “A person who began to work in public areas from the lowest positions in a hotel, could stay in that way for up to a year, compared with past years when a worker could access a new position with greater wages in less times (approx. one semester)”. According to the State Employment Service, the average wage in the Riviera Maya reaches $7,500 pesos ($395 USD), but workers like Abel Muzquiz, who works ​security in an all-inclusive hotel, ensures that his payroll does not exceed $3,500 pesos ($184 USD) per month, although the difference is made by the tips that he receives, which usually doubles his income. In the opinion of Carmona Islas, among the main problems faced by workers with lack of preparation is a lower economic income that triggers off a large number of labor drop-outs. In order to avoid that, this social organization has boosted support programs to incentive labor growth, such as the support of school supplies. 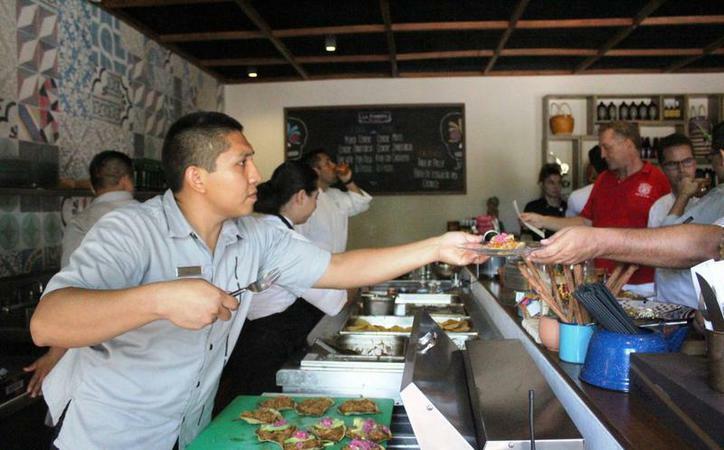 However, these measures are often insufficient for the dozens of workers in Playa del Carmen. Rogelio Hernández, a cook, said that the low salaries and high costs of housing rents are the main problem they face every day, and no authority or organization has been able to solve this. Playa del Carmen contributes at least 70% of the working population that is distributed in the main hosting centers along the Riviera Maya, according to data issued by labor organizations.